This is an article I wrote for a local magazine. Please read on. Many studies show that Indians are least prepared people for retirement. No need to look hard to find proof. Nowadays, many youngsters are not even convinced the need of retirement planning. Why Indians are so unprepared for retirement? There are many theories. For one, the traditional belief that our kids will look after us. If our kids will look after us, why should we accumulate money for our retirement? However, these equations are changing fast. In the nuclear family, there are many hindrances to work this out, even if we consider kids will outlive their parents. For example, the kids should be willing to support their parents through their old age. And, they should be financially strong enough to support parents. Retirement is not only about money. During old age people need tremendous emotional and mental support. While you can depend on your kids for this support, it is better to relieve them from the financial burden. Secondly, Indians have many more goals in life, than a typical westerner. Indians have to take care of their kids' marriage (costlier, if it is a girl child), kids’ education and also, they have to look after their parents. In contrast, a westerner has only one goal, his retirement. Kids' marriage is kids' business, it is not done with parents' money. Primary education is free, and for higher education, children work part time or get scholarships or go for educational loans. Whatever it is, it is not parents' head-ache. So, having overloaded goals, Indians tend to ignore retirement. There are a few factors which makes retirement planning extremely difficult - a few factors which are not in our control. For example, how long will we live after retirement or what will be the percentage of return we will be getting from our investments or what will be the rate of inflation after retirement. These factors make retirement planning difficult, even for seasoned financial professionals. People in central and state government jobs are forced to start their investment for retirement from the month they join their job. On the other hand, people in private sector have no restrictions like this. This gives them the luxury to delay (or even never do) the retirement planning. But delaying retirement planning will cost a lot, you will see soon. Just like in sports, Start early is the motto in retirement planning also. Why? We need time to take benefit of compounding. To explain this, just imagine someone starts with an investment of just Rs 1000 and gets a consistent return of 10%. So, in the first year this 1000 becomes 1100 and second year it becomes 1200? No, in the second year you get the interest of Rs 1100 (principal + first year interest). So it will be Rs 1210. For long periods of time, this makes a big impact on your returns. In order to take benefit of compounding you need to start early and should be invested for a long time. Do you know that this Rs 1,000 will turn to Rs 17,500 in 30 years’ time? That is power of compounding. The next question related to retirement is where to invest. Not only for retirement, but for any of your goals, thousands of investment products are available in the market. It is very important to select the right tools. Most of the available investment tools can be broadly categorized into five categories. This categorization helps to understand these tools better. Also known as Debt, Fixed Income tools are most safe and predictable. It is like you are lending money to someone, and he returns the money with interest when the tenure ends. The best example is Bank Fixed Deposits. You lend money to bank and bank return money with interest. Other examples are Public Provident Fund (PPF), Debt Mutual Funds and National Service Scheme (NSC). These tools are inherently safe, but the disadvantage is that the returns will be always below inflation rates. What is inflation? It is the phenomenon in which money loses its value due to hike in prices over time. For example, if you have Rs 100 today, you can buy things worth today's Rs 100. You keep that money for one year, and next year can you buy same thing? Normally, no as the prices go up. If the inflation is 5%, you can buy things worth today's Rs 95 only next year. So, simply by keeping you lose money. Now imagine, you invest that money. If you get 7% return, how much do you gain? It is only 2%, after inflation. Now, think the government charges 20% Tax on return. So, you will again lose 2% of your principal. From this example, you can understand that the real return in Fixed Income products can be negative. Fixed Income products have no risk of losing, however it has the risk of inflation. One of the oldest investment method was to buy shares of a company. As a shareholder the person, who purchases the share, has an equity stake in the business. That is why shares are also known as equity. Equity investments outperform Fixed Income investments in long term, and also can give return above inflation rate. Investing directly in stocks needs lot of knowledge and time. What if you cannot spend that much time? Still you can make benefits of equity investments through Equity Mutual Funds. Mutual Funds operate in a way they pool money from many investors to buy stocks. This way, you can buy equity even for small amount as Rs 1000. Fund managers do the job of monitoring and switching stocks for you. Still, biggest problem with equity investments are volatility nature of stock prices. Stock prices go up and down in a zig-zag way. One way to harness this volatility is through Systematic Investment Plan (SIP). SIP means investing a fixed amount in mutual funds regularly (say monthly). As you buy for fixed amount, if the prices go up you end up buying less and if prices go down, you buy more. After a long time, if average rate is up, you will make profit. Possibility of making loss through SIP for a long time is minimal. Needless to say, SIP is an ideal tool for retirement. The common man's favorite investment method is not a big star among financial experts. Why? The high risk, inflexibility (you cannot invest small amounts), unregulated market (who decides the prices? ), low liquidity and need to leverage (getting loan and investing is known as leveraging) make Real Estate a bad investment choice. Having said that there is a scenario where investing in RE for retirement is a prudent decision. In case you want to settle down at your home village after your retirement, it is a good idea to invest in a house in the home village. However, think twice or thrice before making such a decision. Because, a few factors can easily make this decision wrong - like if you want to stay with your kids or your health situation demands you stay in city. The gold, silver, diamonds, paintings - all come under this category. Only return from this category is capital gain. Capital gain is the increase in the value. That means if you buy at low price and sell at higher price, your return is the difference in price. On the other hand for Real Estate you may get rent and for equity you may get dividends other than capital gain. But for commodities only return is capital gain. This is not an ideal investment for retirement, unless you are in the last stages of your working life and planning to retire soon. By cash it is not only means the hard cash, but also money kept in savings accounts. The cash gives you highest freedom. Some people prefer to keep a small percent of their investment in cash so that if any of the new investment opportunity unfolds, they can easily grab it. Which is the best investment for retirement? As I told you about five common investment categories, the question now is which one is the best investment method. Unfortunately, there is no such thing as best investment method. Diversification is the key here. Everyone should consider factors like time duration, their risk appetite before choosing an investment method. Anyway, it is better to avoid putting all eggs in one basket. You may be wondering why I did not mention insurance as an investment tool. After all, it is the favorite investment method of Indians. But, it is not a good idea to mix insurance and investment. Insurance should be used only for covering unexpected risks like death, hospitalization, etc. By mixing insurance and investment one will not get benefit of neither insurance nor investment. It is better to treat both separately. I think the discussion on retirement planning will not be complete without mentioning NPS. The National Pension Scheme (NPS) was started by Government of India in 2004. Initially started for new recruits of central government (excluding armed personnel), in 2009 it is opened for all citizens in a voluntary basis. Currently it covers all central Government employees (excluding army) and most of state government employees. Kerala government also follows NPS as part of contributed pension. NPS allocates the invested money to three categories - equity, fixed income and government securities. Currently it has a limitation that up to 50% only can be invested in equity. This allows you to invest in NPS in accordance with your risk appetite. Should I go for NPS or not? It is always better than the pension plans provided by insurance companies. However, you need to consider a few drawbacks before making a decision. Drawbacks like only 50% allocation to equity allowed, limited tax benefits, restrictions on maturity (like you need to invest 40% of maturity amount in annuity), need to wait until 60 years to withdraw (not for people who plan early retirement). Having said that considering lack of other investment tools for retirement, especially which involves equity, NPS is a good choice. Once you decide where to invest, next question is how much to invest. People love to hear a fixed percent of their income to invest monthly, so that they can spend rest of their money without guilt. Unfortunately, there is no such a magic number. Financial experts say as much as possible to invest. The reason is the unpredictability of our retirement life. As I said in the beginning, there are factors outside our control. One may be forced to retire early than planned due to health situation or lay off. However, if you really want a number to start investment for retirement, I would say 10%. People who are in the beginning of their career can start with 10% of their take home salary. However, if you are starting the planning at your 30s or 40s, it is better to invest as much as possible and also to invest any additional incomes like bonus, lottery win to this purpose. People always think future will be brighter than today, whether they prepare for it or not. It is a characteristic of a human brain, which helps us to be optimistic and inspires us to live forward. However, this prevents us from activities like retirement planning. We may get lost in day to day issues, and may ignore important things like retirement planning. If we want it or not, we cannot work for ever. One day will come when we are forced to stop working. Retirement planning is all about how we live after that point. A person spends 20-25 years for education. Next 40-45 years he will be working. The rest of his life should be supported by the earning he does during his work life. So, consider retirement as your ultimate goal of working. When I started this blog, I was planning two posts per month. When I check the posts in 2013, I realize I failed terribly in this target. There were many months even without a single post this year. So, I thought I would write some thing, before the year ends. But that "some thing" is the problem. When you blog without anything specifically in mind, it is easy to get it boring both for the writer and reader. At the risk of that, I will explore the year about to end. How was the year 2013 for me financially? Looking back, I realize it was an year which did not go the way I planned. First the miss to submit investment proof to my employer on time, which caused tax cutting which is nearly equal to half my monthly salary, that too, for two months. It was very hard two months, but I realized that I can live with 50% of my salary, if I really want to. Later, I got the amount refunded by IT department. Then there were unexpected medical emergencies. Unfortunately my medical plan did not cover 100%. Then more vehicle maintenance charges. Last year I upgraded my car, and for this car, I need to spend more money as maintenance charges. Not to mention it is far inferior in mileage to my previous car. And then more educational expenses for my children, considering all these, I was in a tight wallet throughout the year. That means nothing on positive side? No. I got a good salary hike this year, even though a large part of it went to variable pay. During the variable payout, being a private limited company, my employer enjoys freedom to come up with a convenient number as variable payout percentage. But we should be optimistic. I hope I will get a good percentage return next year. Secondly, I have crossed many milestones this year. For one, I started a PPF account. For another, there is much increase in my net worth, thanks to the regular investments. Then what should I look forward to in 2014? Of course I need to do many miles stones. I am listing here a few on hope that this would help some one else. Start investing in commodities like Gold. The list can go on. If you remember what I wrote last year during this time, you can see I am making good progress. What's your experience in 2013? Please feel free to put it in comments. Is a Home Loan Your Best Investment? "Stupids are damn sure, while the intelligent are full of doubts" is one of my favorite quote. Not sure who said it. We can call it anonymous then. Why this is my favorite? If you ask a piece of advice from any one without much expertise in any area, he will say a definite answer, whereas if you ask the same question to an expert in that area, you will get a few pros and cons, which makes you more confused. For example, ask an innumerate person how wise is a decision to invest in a house. Most probably, you will get a answer like "It is the best investment you can make". On the other hand ask a financial expert, definitely he will not be thrilled as much you expect. Well, he can figure out the pros and cons, but an yes or no depends on many factors. I purchased a three bedroom flat three years ago. I was not a money conscous person at that time, so definitely I did not do my maths. But now I am, so I decided to analyze that decision. It is purely based on my personal experience. I have a made Rs 10 Lakhs as down payment. and I went for a loan of Rs. 25 Lakhs for 20 years. I have to pay Rs 21,700 as EMI for this loan. Is it a wise investment? Assume my flat appreciates 15% Compound rate per year. So, at the end of 20 years, it will worth Rs 5.72 Crore. Besides this, I can claim income tax reduction. I am in 20% tax slab, and assuming the tax laws will remain constant for this 20 years, I will save Rs 10 Lakhs. Now, see how much I paid? This seems attractive. I paid 72 Lakhs and I got 5.82 Crore return. Let's just forget we have made many assumptions here. Now consider another scenario. I had decided not to purchase the flat. and decided to invest the money in a bank recurring deposit. Assuming interest rates keep constant at 9%, let's recalculate. I have paid Rs 10 Lakhs as down payment. I invest that right away for the 20 years. Also, I decide to invest Rs 21,000 that I pay as loan now. Wait, I cannot pay 21,000. If I did not purchase the flat I should have to pay rent. Also, more Income Tax. However, if I decide to invest the Rs 10 Lakhs (which I paid as down payment) in an NBFC at 1% interest rate, I will get Rs 10,000 monthly. So this, can cover the rent. So, I am ignoring rent, but I have to pay income tax. Reducing that Rs 18,700 is left for investment every month. So I invest 17,000 per month. This will be accumulated to 1.2 crore. Definitely this is not attractive as first scenario. But in both cases, we have made a few assumptions. The price of your flat appreciates at 15% per year. Really? Think after 10 years, your flat will be old and obsolete. No insurance is not needed for the house (you know it is not true). Insurance charges are not considered in the calculation. You get 1% monthly return for the Rs 10 Lakhs investment you made for the next 20 years. You invest in tax exempted schemes, so that no tax is not levied on the returns. But there are some other factors, which you need to consider before purchasing a house. Freedom and peace of mind of living a debt free life. The pleasure of seeing your wealth getting accumulated. The freedom of life - If you don't like one rented house, you can move to another. So, which one you should go? As I told you, the experts don't have the definite answers. They will confuse you more. Why Our Parents Are So Rich? Well, my father is not that much rich. He was a farmer (now retired), and did not make a lot of wealth in his lifetime. but some times, money is not a measurement for one's greatness. This is not the case with many of my friends. Their parents are rich. So rich that they take care many of their children's needs. They sponsored not only their children's education, but also paid their education loan, sponsored their marriage, provided down payment for their cars/flats, take care of their emergency situations like medical emergency or vehicle maintenance. Many of my friends take it for granted that their parents are the ATMs for them. But think from where our parents get this unlimited money? If you ask them, you can hear the story of their struggles in their young age. How they survived with minimum government salary, how they paid hard their home loan, how they waited until their last years at their work to purchase their first car. You will find it boring, but the answer to their richness lies in these stories. The fact is that they missed many of the luxuries in their young age that we enjoy now. They did not have cell phones. They did not have computers. They did not have flat TVs. They did not have so much eat outs. They did not have branded clothes. On the other hand they had a guaranteed pension. They started investing early thanks to the mandatory Provident Fund and Gratuity. I know we also have PF and gratuity, but we switch jobs in every 3 to 5 years, and the PF/gratuity is paid as down payment for our new cars/flats. Our parents missed the boom in equity markets, but all their investments in real estate and gold paid well. Now the question is are we going to be so rich as our parents when we retire? The possibilities are less. Our parents lived poor and retired rich. We live rich and will retire poor? Think about it. If you think your retirement is far away, remember our parents started investing for the retirement from the first month they started working. Can we live the same way our parent did? Of course it is not possible to give up your cell phone or washing machine to live like them. However, you can learn to live within our means. Let's learn to say no to purchases on EMI. Let's use things until they wear out. Most importantly let's learn to invest regularly. Please let me know your thoughts through comments. Busy office hours. My phone vibrates. "Hello, I am from XYZ insurance company. We have a saving plan for you"
"Savings plan from an insurance company?" "Yes, sir. It gives you fantastic returns." "But I have never heard of a saving plan from insurance company"
"Sir, actually this is an endowment plan. But it gives awesome returns. So, it is a savings plan as well. Are you interested?" "Yes, I am interested in savings plan. But I don't want to purchase from you"
"Not from me? Why, sir?" "You tried to fool me first. It is an endowement plan, still you tried to cheat me by saying it is a saving plan. How can I trust you?" A fool and his money are soon parted - so goes the proverb. In modern times, you need to be extra intelligent to safeguard your money. Too many crooks are around.One carelessness can cost a lot. If I am already aware of this, why should I get upset when I receive such a message? What upsets me is that such notorious people got my phone number. I need to be extra cautious. This proved true in a few days. Some one called me while I was driving. I stopped on the side, and answered the phone. "Sir, you have won a fiesta car for the best credit card payer for 2012". Nice to hear that. But not being a big credit card purchaser, I smelt a rat. "In order to claim your price, you need to prove your identity"
"Just tell me your credit card is a Visa or Master card?" "Absolutely right sir. Second question. What's your termination date on your card?" "Again, right sir. Third question. Which is your 15 digit credit card number printed on your card"
"You want my credit card number?" "I will give you now. You ! @#$%#$^$&^%^*"
I can imagine what would have been happened, if I give my credit card number. If you are thinking that I have narrated two incidents to prove how smart I am, I will tell you another story. This time I was cheated. I carry lunch to office. I know it is not that fashionable these days. But for your health and money, it is a good practice. I had a beautiful lunch box, which costs nearly Rs 1,000. One day, after lunch I put it in a bag and kept in luggage room. I forgot to zip the bag. While most of the area in our office is under camera surveillance, this room is not. After work, as usual I came to luggage room and took my bag. The moment I took it, I knew it is lighter than I expected. I checked inside, and found the lunch box is gone. Gone for good. So, be always careful with your money. This is the start of the financial year, and this is the best time to start tax saving planning. The section 80C of income tax act, allows us to spend or invest our money in specified categories and to get tax exemption. Somewhere in my blog, I complained that all the newspapers, magazine, blogs publish articles on tax savings on the last quarter of the finance year, when it is too late to do any planning. So, I decided to write about tax planning at the start of the finance year. This is the best time to start planning. To help you a little with planning I have created one excel sheet. You can download the excel sheet here. While using this excel sheet, please note below points. The target of your investment should not be only tax saving. It should be aligned to your financial goals. However, take into account different tax saving schemes so that you can get maximum return. Please spend some time to customize this excel sheet for your needs. Do not copy blindly. The excel sheet is created based on my knowledge and experience. It is not a replacement for professional tax advice. I cannot be held responsible for any losses due to recommendation. On the other hand, I don't mind sharing your returns with me. I have not included all schemed available under 80 C. I have included only ones, which are commonly used and which are recommended by me. Hope this helps some one. Happy investing. I decided to take a break from financial blogging and decided to write on some thing else. As I mentioned earlier, this blog is for financially illiterate people, and to keep them visiting, I should occasionally write about non financial topics. This time I selected to write on books. What are my favorite books? If I include fictions also, it is a very difficult question. So, I exclude those and concentrate on self help books. You cannot be a successful man or woman by reading or copying ideas from these books. But, those books help you to see your life and problems in a different angle and brings in new ideas, which you never thought of before. Here are my favorite Seven self help books. I deliberately mentioned "must read" to raise your curiosity. These are just my personal choice. You may have a different taste altogether. This is a book, which does not need any introduction. First published in 1989 and sold out more than 25 million copies, I believe most of you already read this book. If not, don't waste time, grab one and read it. This is a book, which triggered a paradigm shift for me. 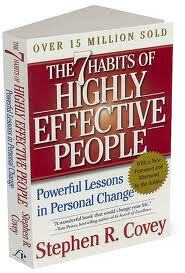 I believed I can ignore my strengths and need to improve my weakness for a successful living, until I read this book. But when I read this book, I realized that I need to work on my strengths rather than my weakness. For an example, just imagine in his childhood Sachin Tendulkar realized that bating is his strength and he needs to improve his bowling. If he ignored bating and tried to improve his bowling, would we have a bating genius now? 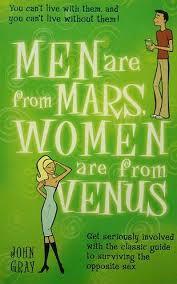 Just read this book. I am a big Carnegie fan, and I would recommend all books written by him. All his advises are simple, practical and effective. Read any one of his books, and I am sure you will agree with me. My friends say whatever I talk to it will end up in finance. Here is the best finance book, I have ever read. The tag line "what the rich teach their kids about money that the poor and middle class do not" is enough to make you curious to read this book. 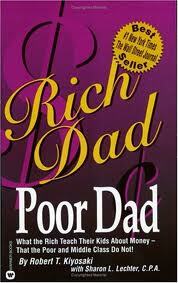 I believe after this book, people used to use the term Rich to denote financially intelligent people. Who will be winners in this world? People with greatest talent, dedication and education? 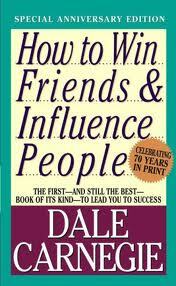 This book says the winners are people who are not only competent, but also have the ability to negotiate. 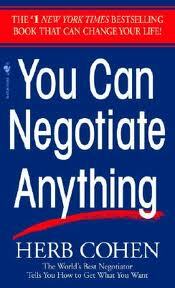 Learn the negotiation techniques from this book. This is a book I recommend to all married couples and people who plan to marry soon. We know men and women are different in their attitudes and behaviors. How different? The book answers this. By understanding the fundamental difference of genders, we can improve the relationships. The less than 100 pages book, which can be read in one hour time, helps you to deal with change. When I first completed this book, I thought it says about things I already knew. In some of the situations where change is forced on me, which is similar to scenario described in this book, I adopted quickly and moved on. But I believe it is due to the nature of my profession. This book may be useful to thousands of other people. Do you have some other books to suggest? Please leave those names as comments. If you like this blog, please click below link. Is it Possible to Buy a Car without Car Loan?